Hoxton Ventures is an early stage technology venture capital firm that invests in mobile, internet and software startups. The company is based in London, United Kingdom. "removed information about type of companies and founders. " Hoxton Ventures invests on companies that have the potential to be very large, valuable, and global business. The company partners with founders who are either technical or experts in their industry. Hoxton also works with companies inventing new market categories or disrupting existing sectors. The firm prefers to invest in technical and ambitious founders trying to build billionearly dollarstage globaltechnology outcomescompanies. Hoxton Ventures typically invests between $500000500,000 and $5M and follows its capital through the life of the investment. The firm has worked at some of the most prominent tech companies, at their headquarters, including Google, Intel, Microsoft, Sun Microsystems and Twitter. Hoxton Ventures has made 33 investments. Six of these were lead investments. On June 26, 2018, they invested $50M in TourRadar. Hoxton Ventures has had seven exits: mMavrx, IMMUNIO, and Campanja are some of its notable exists. The firm has raised a total of $40M in a single venture fund. This is their most recent investment. Hoxton Ventures hasfund hadwas sevenannounced exists.on mMavrx,Apr IMMUNIO29, and Campanja are some of its notable exists2014. Hoxton Ventures invests on companies that have the potential to be very large, valuable, and global business. The company partners with founders who are either technical or experts in their industry. Hoxton also works with companies inventing new market categories or disrupting existing sectors. The firm prefers to invest in technical and ambitious founders trying to build billion dollar global outcomes. Hoxton Ventures typically invests between $500000 and $5M and follows its capital through the life of the investment. The firm has worked at some of the most prominent tech companies, at their headquarters, including Google, Intel, Microsoft, Sun MicrosystemsSun Microsystems and Twitter. Hoxton Ventures invests on companies that have the potential to be very large, valuable, and global business. The company partners with founders who are either technical or experts in their industry. Hoxton also works with companies inventing new market categories or disrupting existing sectors. The firm prefers to invest in technical and ambitious founders trying to build billion dollar global outcomes. Hoxton Ventures typically invests between $500000 and $5M and follows its capital through the life of the investment. The firm has worked at some of the most prominent tech companies, at their headquarters, including Google, IntelIntel, Microsoft, Sun Microsystems and Twitter. Hoxton Ventures invests on companies that have the potential to be very large, valuable, and global business. The company partners with founders who are either technical or experts in their industry. Hoxton also works with companies inventing new market categories or disrupting existing sectors. The firm prefers to invest in technical and ambitious founders trying to build billion dollar global outcomes. Hoxton Ventures typically invests between $500000 and $5M and follows its capital through the life of the investment. The firm has worked at some of the most prominent tech companies, at their headquarters, including GoogleGoogle, Intel, Microsoft, Sun Microsystems and Twitter. Hoxton Ventures invests on companies that have the potential to be very large, valuable, and global business. The company partners with founders who are either technical or experts in their industry. Hoxton also works with companies inventing new market categories or disrupting existing sectors. The firm prefers to invest in technical and ambitious founders trying to build billion dollar global outcomes. Hoxton Ventures typically invests between $500000 and $5M and follows its capital through the life of the investment. The firm has worked at some of the most prominent tech companies, at their headquarters, including Google, Intel, MicrosoftMicrosoft, Sun Microsystems and Twitter. Hoxton Ventures invests on companies that have the potential to be very large, valuable, and global business. The company partners with founders who are either technical or experts in their industry. Hoxton also works with companies inventing new market categories or disrupting existing sectors. The firm prefers to invest in technical and ambitious founders trying to build billion dollar global outcomes. Hoxton Ventures typically invests between $500000 and $5M and follows its capital through the life of the investment. The firm has worked at some of the most prominent tech companies, at their headquarters, including Google, Intel, Microsoft, Sun Microsystems and Twitter. 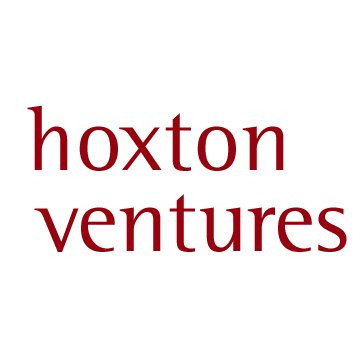 Hoxton Ventures was founded on Nov 26, 2013, by Hussein Kanji and Rob Kniaz. Hoxton Ventures has made 33 investments. Six of these were lead investments. On June 26, 2018, they invested $50M in TourRadar. This is their most recent investment. Hoxton Ventures has had seven exists. mMavrx, IMMUNIO, and Campanja are some of its notable exists. No more activity to show.